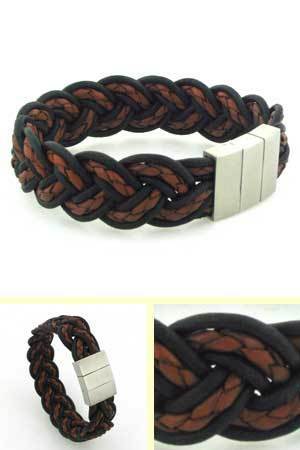 2 tone wide leather bracelet. 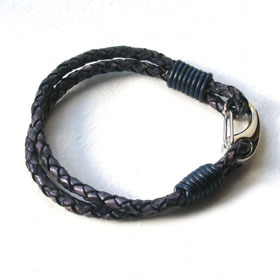 This is a wide woven strap with plaited tan leather edged with narrow black thongs. 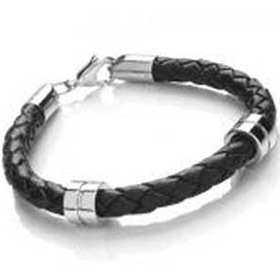 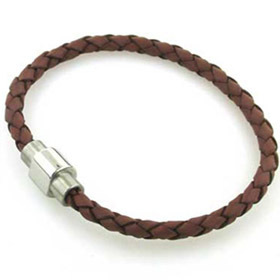 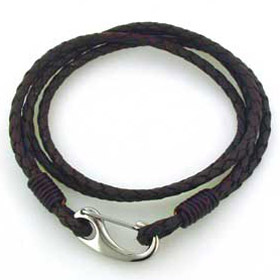 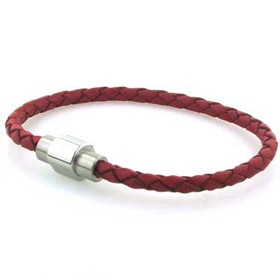 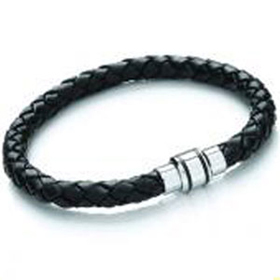 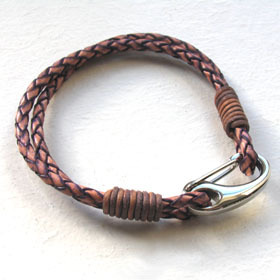 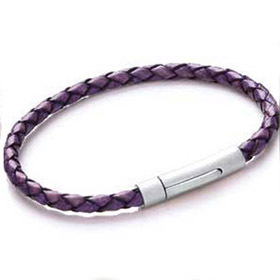 It fastens with a chunky magnetic stainless steel clasp. 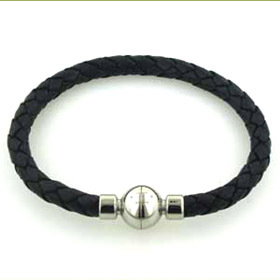 Gorgeous in classic black and tan.